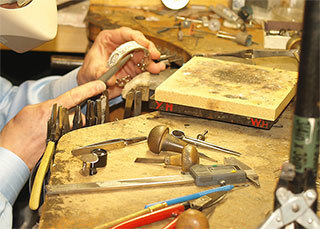 We are looking for another experienced bench jeweler/setter. We are located in Oceanside, NY. 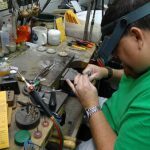 Job responsibilities: repair jeweler performs repairs and alterations for new and customer owned jewelry. 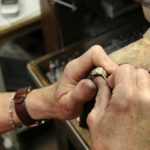 The jeweler works with all common metals, including platinum, and gemstones. 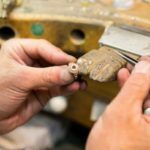 The jeweler is expected to perform repairs using standard jewelry techniques including stone setting, soldering, laser welding, fabrication, assembly, gluing, finishing, etc. 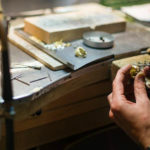 The jeweler possesses a deep knowledge of jewelry materials including metal assay and gemstone identification and sensitivity. 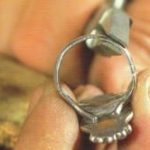 The jeweler understands workshop safety and ensures risks are minimized. Additional Responsibilities: Perform repairs and alterations and repair estimates on all assigned orders. 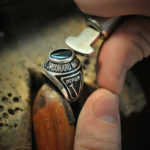 Quality – Complete all craft work according to the highest standards and design standards; read, understand and follow written repair instructions and seek clarification when needed; inspect all assigned orders for additional defects and note, repair or escalate as appropriate; perform “specialty craft work” (e.g. complex setting) as appropriate to skill set and work mix. Organization – Maintain assigned orders in an organized fashion ensuring that due dates are adhered to; report any late or potentially late orders to management.m. 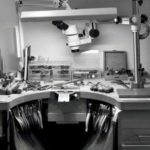 Request any needed parts, consumable material, tools or supplies according to established procedures; maintain all assigned parts, metals and scrap in a secure and organized fashion and according to established procedures. Compensation: Based on skill level, productivity and experience.